One of the biggest myths in the content writing world is that your posts have a short shelf life. While some pieces may be more timely than others, this “one and done” thinking is selling your writing short. Content recycling is an invaluable method to increase readership, build brand awareness, and much more. Read on to discover why you may not be getting the most out of your content and learn how to fix it with the following tips. Your content holds much more value than its results from the original post. By not utilizing older blogs and articles, you are leaving money on the table. There is much more value you can get out of your content the second, third or even fourth time around. That said, content recycling should not be the whole of your marketing strategy, but a piece of it. Meaning, creating new content is always a good idea; don’t sacrifice those efforts to focus solely on content recycling. One of the best measures of how well your content is performing is through its search engine optimization (SEO) results. The more times your blog is back-linked on another page, or how well it optimizes for keywords, the higher the ranking it will have. 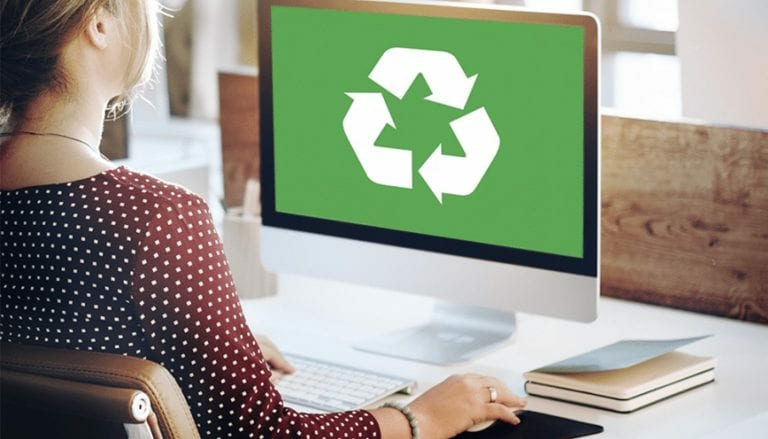 Recycling content can boost your SEO value in several ways. When revisiting a blog you’re considering reusing, research how well the blog is currently performing. If there are other keywords or phrases it can perform under, consider adding those new words or phrases to the blog before republishing it. Chances are, after editing and re-optimizing for the new keywords (if applicable), your “new” blog may rank better than the original. The Internet is a massive place. With that said, you can reach entirely different audiences by changing where you share your content. While your Twitter followers and your newsletter subscribers may overlap a bit, there are bound to be plenty of fresh viewers in both pools. The same concept goes for new readers. Most newcomers won’t make an effort to go pages back in your website to read older posts. By editing and republishing some of your best work, you can reach an entirely new audience. Changing up where and how you post your content can quickly expand the number of views the posts get and even earn you some new loyal fans. One of the oldest tricks in the book for recognition is mere repetition. The more times your audience sees your content, the more it is likely to resonate with them on a deeper level. This concept is often used by retailers to sell their newest products or services. Retailers believe the more times you see the same ad, the more likely you are to finally buy it. It’s important not to confuse this point with posting the exact same thing on every medium possible; beating a dead horse won’t get you very far. But, in the simplest of terms, repeating your content will earn you more points if it’s done correctly. After understanding why you should give some of your existing posts another round in the spotlight, it’s important to learn how to do it. Changing the format of your content is one way to breathe new life into it. For example, you can take a long-form blog and promote the most important ideas or statistics in a series of tweets. This same concept can be used by re-purposing content into a video, infographic, or podcast. Utilizing these different mediums will also be effective in reaching new viewers. If you find yourself writing about a new topic that can easily relate to one of your previous posts, incorporating a back-link to the older post is a quick and straightforward tactic. This not only helps boost your SEO ranking, but a good blog with links always looks more appealing and credible to readers. History always seems to repeat itself, and if something is taking place that relates to a topic you’ve previously written about, it’s an excellent opportunity to recycle the content. Before promoting the same content, make sure to spruce it up with a few of these steps. Update or remove any links that are no longer active or relevant. Replace any outdated information such as statistics to show current facts. Create a new meta description with current information to entice readers. Add a new CTA (call to action) within the post. Include a writer’s note at the end of your post indicating the original publishing date. Keep the same URL to maintain web authority. Reshaping your existing content is a great tool to expand your reach and add value to your brand. For any assistance with content development or brand building, contact Front Porch Solutions. We’ll design a plan made specifically for you to get the most out of your online presence.